Like it or not, people decide what’s right and wrong based on what they see written by professional journalists. 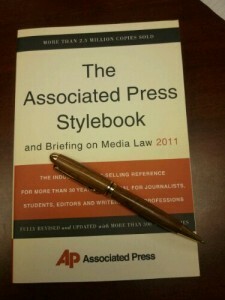 And for most journalists, the Associated Press Stylebook is the standard. That means certain ways of spelling and using words are embedded in people’s minds, and if you deviate much from the standard, they’ll view your writing as amateurish and sloppy. social media. Not Social Media. Google, Googling, Googled. Google is always capitalized, even when used as a verb. Get it. Learn it. Use words the way the pros do.